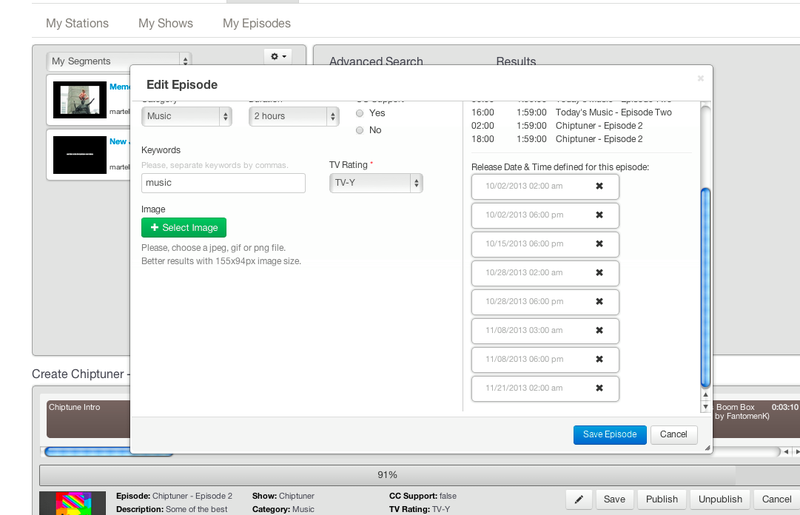 The Multi-scheduler feature was added earlier this week to Martell TV. It allows an episode to be re-scheduled for later in the week, month or year. This feature allows 3 months of content to be scheduled in about an hour. You can easily syndicate your shows, schedule re-runs or have a time-released episode that is insanely easy for viewers to find in your channel guide.